FMC-1001S-WA02 / WB02 converters are an economical yet high performance un-managed Gigabit Ethernet fiber media converter pair. 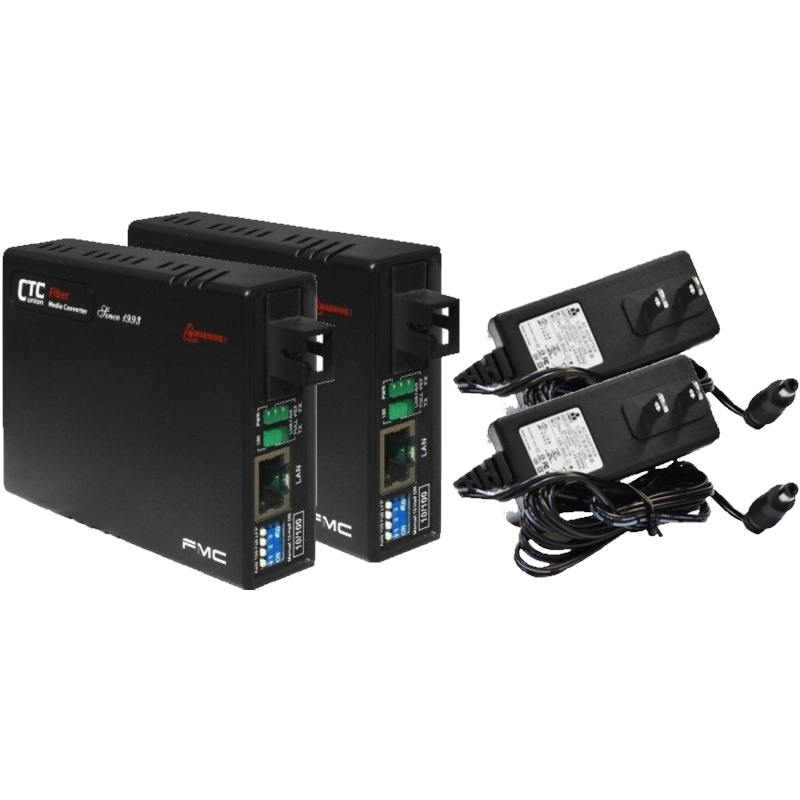 The FMC series of media converters are noticed for their simplicity: no management features, guaranteed reliability and extremely affordable cost. 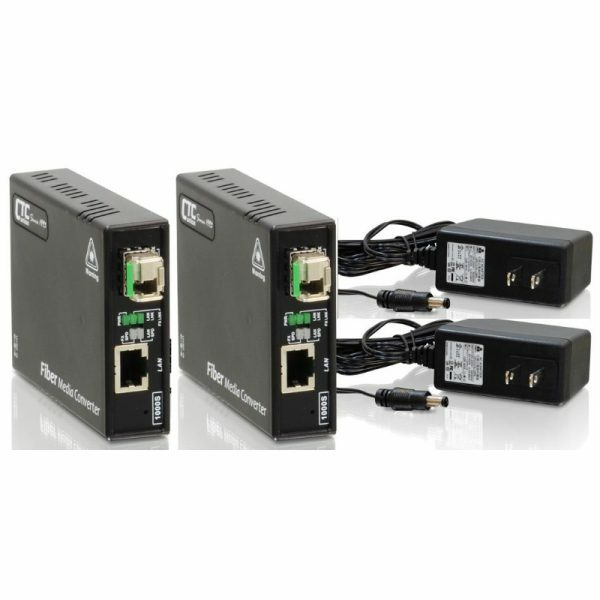 FMC-1001S-WA02 / WB02 Gigabit converters are a bundle between a FMC-1001S converter and a BiDirectional SFP 1.25G with Tx:1310nm and Rx:1550nm and an additiona FMC-1001S coverter and a BiDirection SFP 1.2g with Tx:1550nm and Rx:1310nm.. 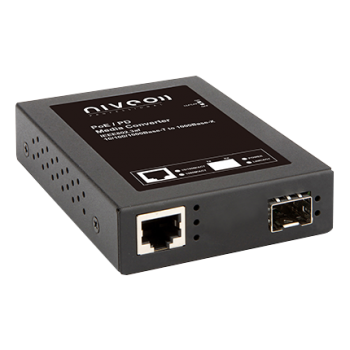 The units have one RJ-45 copper port with auto-negotiation 10/100/1000 and MDI/MDI-X features for the Gigabit Ethernet copper interface. Unit supports Q-in-Q pass through as well as VLAN tagged packets. Maximum packet size is 2048 bytes. The FMC-1001S-WA02 must be matched to the FMC-1001S-WB02 model to operate properly. 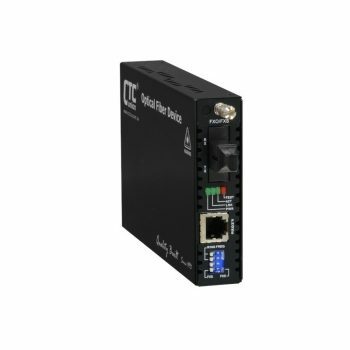 Used with their compatible FMC-CH17-AC fiber optic chassis they can be aggregated up to 17 units in a 19″ wide and 2U height space. This allows network operators higher density at a very affordable cost.